Marriages' brilliant new album, Salome, is streaming in its entirety below before its April 7th release date. At first listen, the first thing one notices about Salome is the album's sense of space. Like pulling open a dark window shade mid-flight, we're abruptly presented with a crystalline brightness setting the tone from the outset, signifying an evolution from the somewhat insular buzz of Marriages' 2012 debut EP, Kitsune. The second thing is that, unlike the stream-of-consciousness approach which found each track on Kitsune nebulously flowing into the next, Salome is comprised of concise songs, each one a light that flickers into existence, burns with magnificent intensity, and then expires. Back in Los Angeles, Marriages spent the end of 2014 completing Salome, a timeless 9-song monolith of a debut LP. Propulsive, frequently iridescent, the compositions on Salome are confident and evocative, the sound of a band focusing their strengths to great effect. Nowhere is this focus more evident than on opening track, “The Liar”. Frontwoman Rundle wastes no time settling into a haunting earworm of a riff, before unleashing a moody tangle of slides and reverb. Her breathy voice, veiled in subtle effects, elicits irresistible curiosity; though it may not always be clear what she's saying, there's undeniably something to the way she's saying it. Bubbling just under the surface is the overdriven bass of fellow Sparowes alum Greg Burns, who conjures a menacing rumble from his instrument in glorious contrast to the glassy needles of Rundle's wailing guitar. New addition Clinco, whose formidable presence appears largely responsible for the kinetic reconfiguration of the band's sound, functions as both an anchor and a jostling wave, holding it all together with precision while he rattles his cage. Second track, “Skin”, is perhaps even more infectious, to the point where becoming engulfed in the emotional tide of the song is simply unavoidable. Its indelible chorus is one of the album's most iconic passages. Here, especially, Marriages wear their influences on their sleeves, a convincing amalgamation of mid-eighties postpunk (Cocteau Twins, The Cure, etc.) and what ought to be called poststonermetal. Their shoegaze aesthetic combined with Rundle’s crushing riffs make Marriages unique among their contemporaries. The tumbling urgency of “Southern Eye” could fit comfortably on Echo and the Bunnymen's Heaven Up Here yet somehow sits squarely within the realm of Sargent House labelmates Russian Circles. Elsewhere, Marriages toy with a pop approach before invariably releasing a torrent of cascading noise, though never enough to bury the hook they've so cleverly constructed. Title track “Salome” is the album’s centerpiece. An ominous, otherworldly swell of emotional waxing and waning, it finds Rundle at her most vulnerable, strokes of Kate Bush and Sinead O’Connor writ large over a canvas of brooding, fuzz-pedal density. Comparatively subdued, though by no means anemic, “Contender” closes the album on a tentative note, its unresolved final chord a sobering wake-up suddenly casting doubt on the probability of the previous 43 minutes. Throwing open the curtains on not only their sound but on their songwriting as well, Rundle, Burns, and now Clinco seem perfectly at ease scaling anthemic peaks and heartbreaking valleys, often in a single composition. Salome finds Marriages fully embracing their skill at crafting timeless songs with chillingly epic results. In support of Salome, Marriages will play two European / UK festival for 2015; the first will be at Roadburn Festival on April 9th that will be directly followed by a European tour supporting Wovenhand, who has also just recently signed to Sargent House. 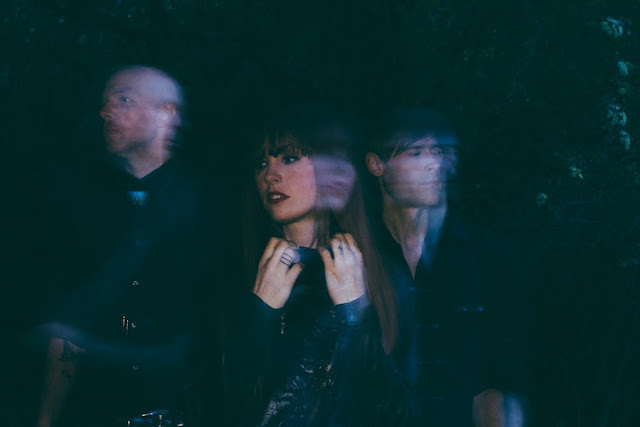 In late August, Marriages will return to the UK to play ArcTangent Festival in Bristol alongside five other Sargent House bands including regular tour mates Deafheaven and Helms Alee. In addition to playing a Marriages set, vocalist Emma Ruth Rundle will also be performing solo - check out a full listing of all Marriages shows below. 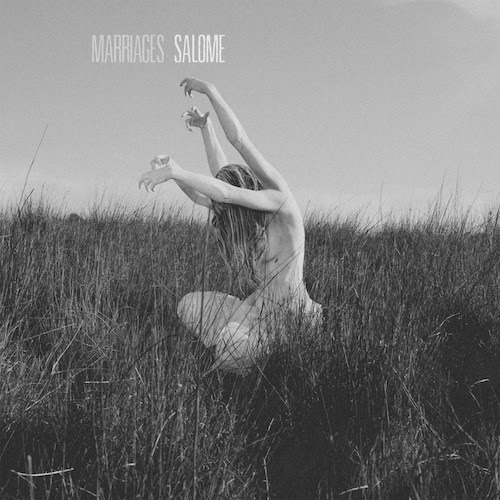 Salome is up for pre-order from iTunes or HelloMerch; keep up with Marriages via MarriagesBand.com and look for Salome on April 7th via Sargent House.